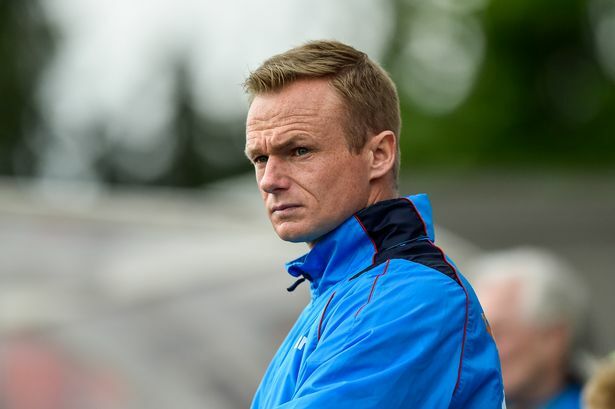 Saddlers boss Dean Keates has spoken to club journalists following his side's midweek Checkatrade Trophy - Round Two defeat to Shrewsbury Town, and admitted that he was frustrated with his team's overall display as his side exited the competition at the second stage. The gaffer, who saw his side slip to a 2-1 defeat in front of a small crowd at the Shrews' Montgomery Waters Meadow, believes that his team's display matched the flat atmosphere at the stadium as there were so few fans in attendance as supporters make their feelings towards the competition known. Dean, who was speaking via the club's official website - www.Saddlers.co.uk - said; "It was frustrating to lose the match. I think the performance probably summed up the atmosphere. There weren’t many people in the ground. "We said to the lads before the game that there wasn’t going to be much of an atmosphere so we would have to go out there and create one and we didn’t create one because we didn’t have any urgency. We had a look at changing the system. "We are Saturday/Tuesday now for the next few weeks so we had a little tinker with the formation. We wanted to have a look at a different formation, we knew there were going to be opportunities to play through them and you have got to play with an element of risk. "When it did come off, we managed to cut through them a few times but unfortunately it got intercepted a few too many times."